With only the prospect of a seriously hectic Easter Holiday ahead, I was dreading the next fortnight but all that changed when this whopping great box landed at my door. 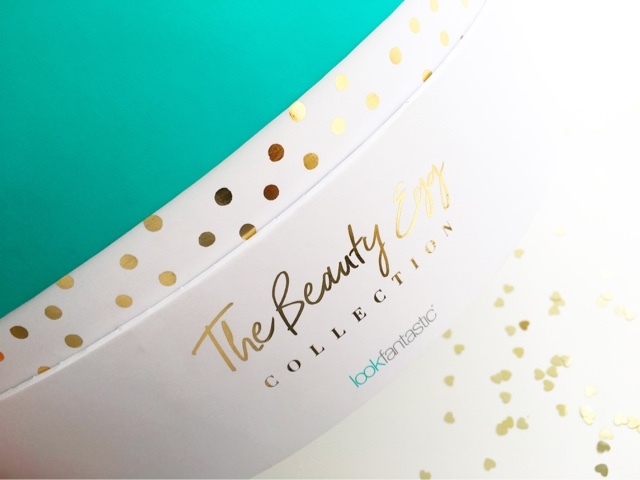 And yes, I am shallow and easily pleased like that ;) Thank you Look Fantastic for giving this Mummy her own box of Easter Eggs to enjoy without having to share with the kids! 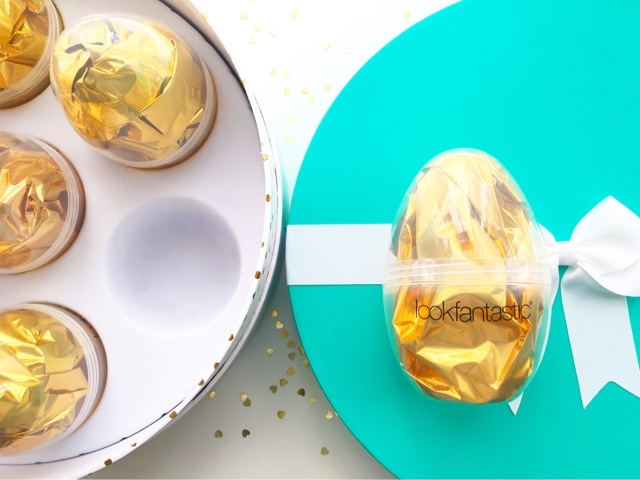 Look Fantastic are celebrating Easter this year which a giant box of golden eggs stuffed with 7 surprises from stand-out brands and products from their site worth £200. 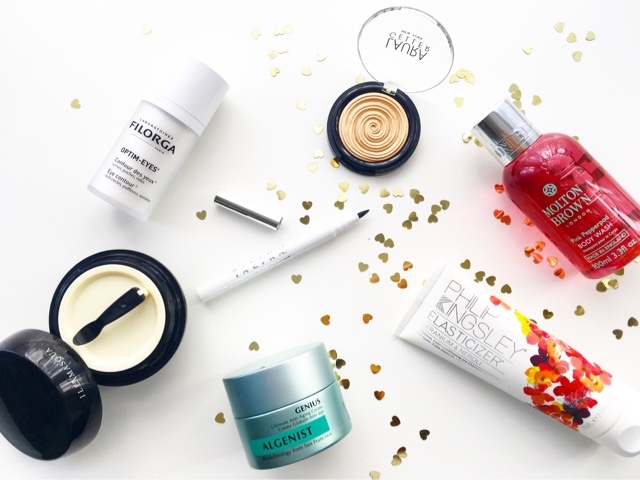 Aside from the breathtaking packaging of the whole thing, I'm super impressed with the selection of products because there's something for everyone - a couple of amazing anti-ageing skincare products, a hair product, a body wash, a unique makeup/serum pen, a hydrating primer and something for the glow addict. 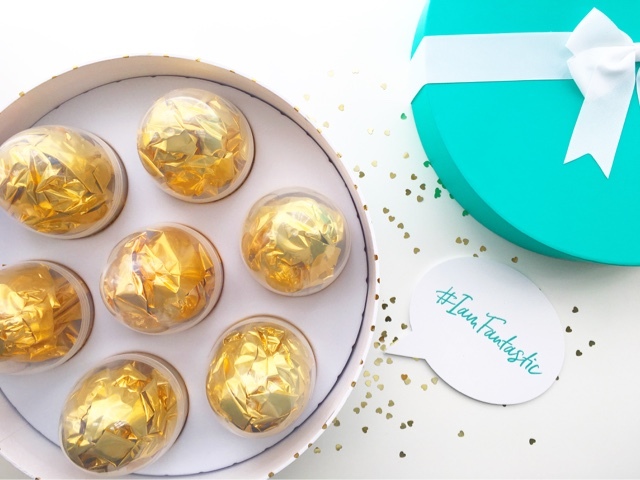 If you'd like to know about the gems hidden inside each egg feel free to keep reading. If you'd like it to remain a mysterious surprise then I suggest you scroll right to the bottom with your eyes closed and leave me a comment telling me how amazing this Beauty Egg is and what you hope is hidden in one of the eggs. Illamasqua Hydra Veil Primer worth £32 - This skin smoothing primer has a jelly texture and provides hydration under makeup. I've been using a mini version of this recently and I really enjoy it. Its working great on my dehydrated skin and while I don't find the jelly texture appealing, I can't fault how great this is at smoothing out the texture of my skin and being nourishing enough. Laura Geller Baked Gelato Swirl Illuminator - Gilded Honey worth £21 - This product became iconic before it was even launched with its striking distinct design that is too alluring to resist. I have only heard great things and I'm eager to try it out to see what all the fuss is about. And this shade in particular has everyone swooning every time it's featured anywhere. Talika Eyebrow Lipocils Ink worth £20 - This ingenious product is unlike anything I have come across before and somehow everything I have been looking for. It combines makeup and a brow growth serum to give you the look of fuller brows while helping to stimulate the growth of new hairs to fill out your natural brows. I'm enjoying the ease of using the ink so far and am incredibly optimistic about seeing some amazing results from this. Filorga Optim-Eyes Eye Contour Cream worth £38 - This eye cream sounds like it delivers on all fronts and claims to be anti-wrinkle, anti-dark circle and anti-under eye bags and is meant to help maintain the structure of the eye contour. I really look forward to using this because I can use all the eye area help I can get. 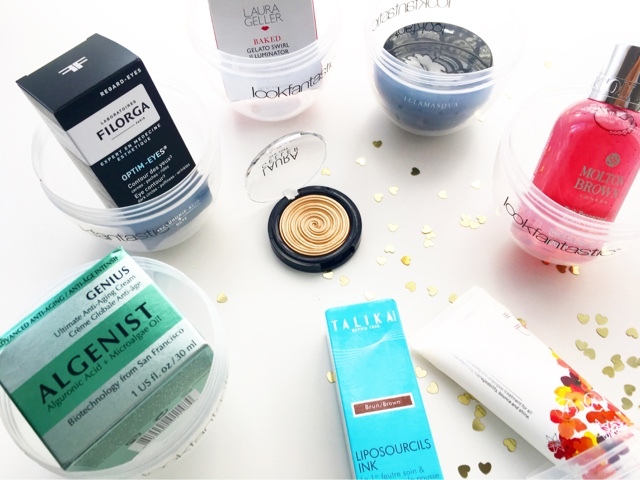 Algenist Genius Ultimate Anti-Ageing Cream worth £58 - I literally squealed with joy when I saw this in one of the eggs because I've wanted to try this brand for a long time as they are known for their powerful anti-ageing skincare products. This moisturiser is a potent mix of skin refining and restoring ingredients to visibly reduce the appearance of fine lines and wrinkles. Molton Brown Pink Pepperpod Body Wash worth £12 - This smells divine. Its an invigorating scent with some real depth and body that I know my husband will really enjoy using too (if I can get him to look past the 'Pink' part). You can never have too many body washes and this is a luscious one. Phillip Kingsley Elasticizer - Geranium & Neroli worth £19 - I actually only tried this cult product recently for the first time and really enjoyed how it made my hair feel and look. This pre-shampoo treatment adds elasticity to the hair, making it more manageable with a healthy shine. This scent is gorgeous and I love the cuteness of the packaging too. Overall, I am blown by this amazing selection of goodies that will keep me busy for not just the duration of Easter but long after that too, I'm sure. This would make such a lovely gift for the beauty junkie in your life or it would be a great one to share among family/friends with something for everyone to pick from. 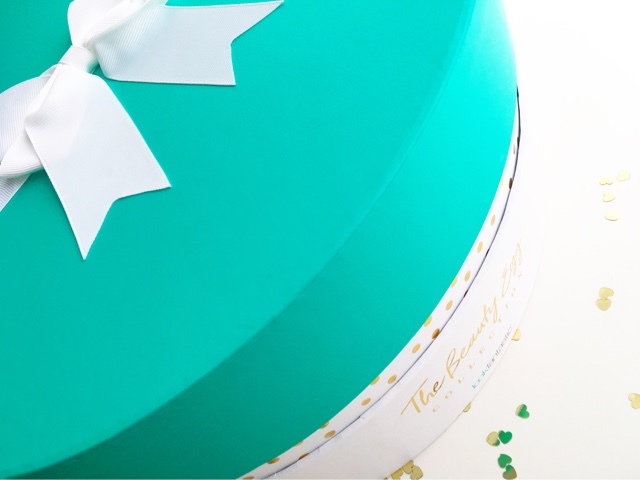 I just know that receiving this big beautiful box and sitting there unwrapping each giant egg will make anyone's Easter, if not year, all that more special. 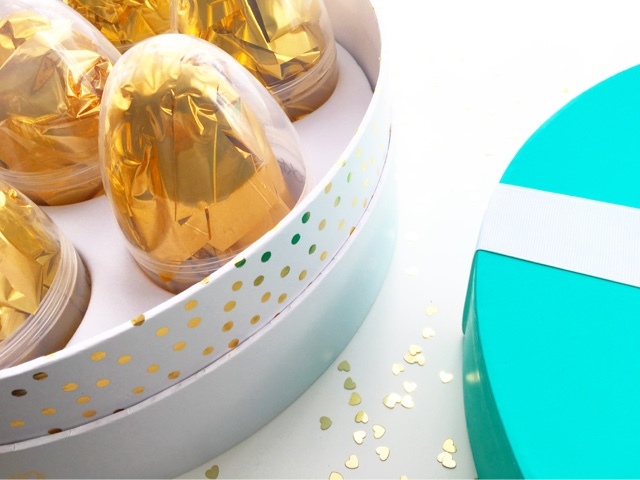 Also, the possible storage uses for the giant hat box is endless and my girls are going to love playing with the plastic eggs...SERIOUSLY LOVE! *This post contains PR/Gifted item. All opinions are my own and honest. Please see my Disclaimers for further details.